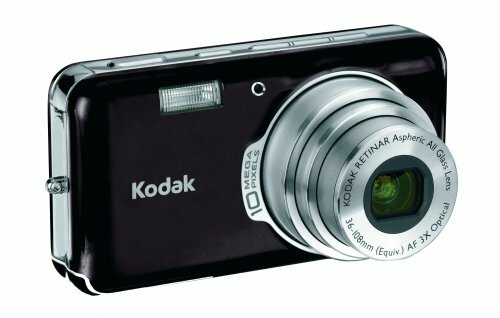 Kodak EasyShare V1003 - The digital camera that's easy to use and easy to share!This Kodak EasyShare V1003 features 10 MP which means you can make stunning prints up to 30 x 40-inches! Its 3x opitcal zoom gets you closer to your subjects without reducing image quality and its 4x digital zoom enlarges your pictures even more!Get a good look at your pictures on the large 2.5-inch high resolution indoor/outdoor display. Record VGA video (640 x 480) at 30 fps with sound and capture more video using less memory with MPEG-4 compression.Have a picture you want to share? Tag it using its on-camera share button and it will be ready to print or e-mail later! 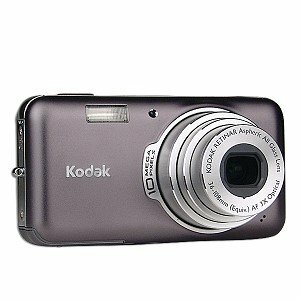 This Kodak EasyShare V1003 digital camera package is ready to go right out of the box! Order today!